How To Make Money While Traveling - 7 Ways! Make Money While Traveling – Yes, It’s Possible! Many of you said you were interested in becoming location independent and learning how to make money while traveling after reading my recent post Are You Interested In Traveling The World And Working At The Same Time? Being location independent can be a great thing, but for most you do have to earn a living somehow so that you can support yourself. Many cannot just travel for months or years at a time without making any money. 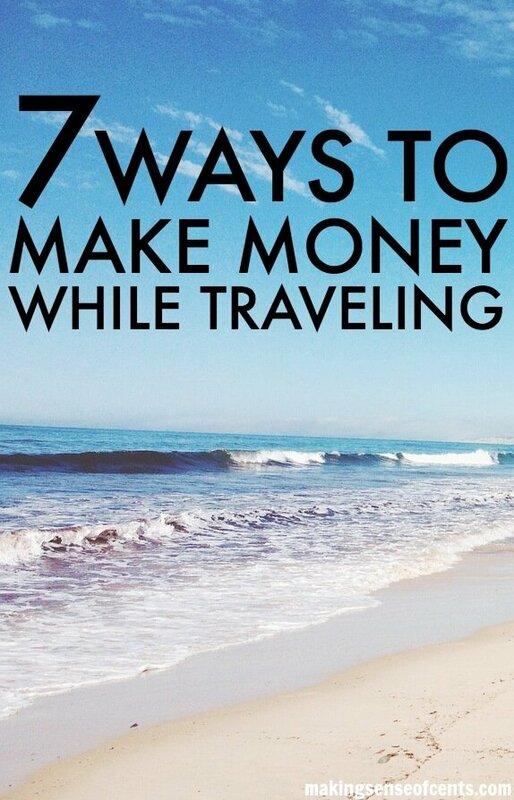 Don’t worry though, there are plenty of ways for anyone to make money while traveling. Don't let this factor that may seem big hold you back from living your dream. Also, while some of you may think this is just a thing of dreams, I am here to tell you that it is real! I am location independent and I know many others who are as well. Below are several different ways to make money while traveling. 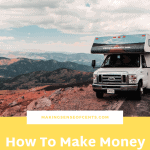 If you want to learn how to make money while traveling then continue reading below! This is what I do so that I can make money while traveling so, of course, I had to include this one first. Like I always say, I never realized I would be earning as much income online as I do now. Everyone has to start somewhere so do not feel like it's not a possibility for you. With blogging, you can make money through advertising, affiliate marketing, sponsorships, reviews, partnerships, e-courses, ebooks, and more. You can read all about how I earn a living online in my monthly online business income reports, where I describe how I make over $70,000 online each month. You can create your own blog here with my easy-to-use tutorial. 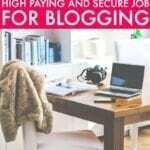 You can start your blog for as low as $3.49 per month plus you get a free domain if you sign-up through my tutorial. 2. Find a job in the places you are visiting. There are many instances in which you may decide to stay in a city for longer than just a vacation. Whatever your reason may be, there are many things you could do in order to earn a living. Bartend or work at a restaurant. Work at a hotel, motel, campground, or hostel. Help out on a farm. Work on a cruise ship or yacht. 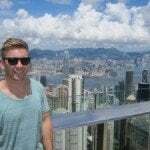 Au Pair – Read How To Become An Au Pair And Travel The World for more information. 3. Freelance write or become a virtual assistant. 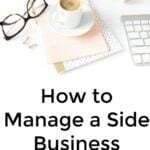 Freelance writing and virtual assisting are some of the very first things I did in order to make money at home online and they're services I still provide today. 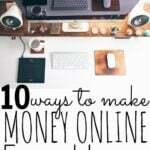 Freelance writing can be a fun way to make money online. Plus, you can usually freelance write from anywhere in the world (some positions ask you to be in-house, but the majority that I see allow you to be location independent). Another online job somewhat similar to freelance writing is virtual assisting. I know many freelance writers who provide this service as well. A virtual assistant helps a business run more smoothly. You can be contracted for one project (such as collecting specific data for research) or it can be a continuing job such as replying to e-mails. One company I recommend for virtual assistant work is UserTesting. This website pays you to test websites and they pay fairly well. Something else somewhat related to this section is answering surveys online. Other survey companies I recommend include Swagbucks, Survey Junkie, InboxDollars (you’ll receive a free $5 by signing up for InboxDollars through my link), Clear Voice Surveys, Opinion Outpost, YouGov, Product Report Card, Survey Club, ProOpinion, VIP Voice, SaySo4Profit, PanelBucks, PaidSurveys, Prize Rebel, and Pinecone Research. They are all free to join and free to use. You get paid to answer surveys and to test products. Another possibility to make money while traveling is to sell products both online and offline. I've heard of some who sell items they collect while traveling, those who create crafts to sell at local craft fairs, and so on. If you decide you would rather sell items online, you could sell your products online such as on eBay, Etsy, Craigslist, and countless others. For us, this is something we are working very hard towards because it would allow us to enjoy life even more. Earning passive income while traveling may be one of your best options as well. This way you won’t feel tied down to work and can truly enjoy every place you are visiting. Passive income options include dividend income, rental real estate, affiliate marketing, and more. Housesitting usually means you’re working for free, but sometimes you do get paid. If you aren’t getting paid, it's a free place to stay and you may stay in some very nice homes as well. This can be a great way to make money while traveling or at least a way to cut your travel costs. I know someone who traveled for around one year and still kept their day job. Yes, I understand that most employers cannot/will not be this flexible, but there is a chance that yours may be fine with this option. If you have a job which may allow you to work remotely, you may want to think about popping this question. If you plan on traveling anyway then what's the worst that could happen? Also, I’ve had a lot of you ask what I’m using for internet. I'm using a Verizon MiFi Jetpack. What other ways can a person make money while traveling? Are you interested in learning how to make money while traveling? Why or why not? Another possibility for making a living selling online is dropshipping. That way you don’t have to hold any stock. I haven’t done it myself but it’s something on my list for checking out in the near future. being location independent for work is great, but is necessary to be organizes, but thanks for sharing there are a lot of nice ideas!!! Awesome! I read about he people who do Amazon or eBay sourcing trips and I’m jealous. Slowly building side income over here but its definitely not passive! Yes, those trips always sound like so much fun. I think having earning enough passive income while traveling is the dream, right? You are able to do something that you enjoy and see new places while not having to worry about doing anything to make additional money since the money will just slide right into your bank account! I’ve been working as a blogger and freelance writer for the last year and LOVE being able to be location independent! My husband and I are moving from AL to Alaska this Fall and I get to bring my favorite job/s with me. Such a sweet gig. Haha, I probably should have included some of my Instagram photos! I love being location independent because I can continue working while we travel. At the same time, I usually don’t want to work *too much* while we travel. I guess it depends on where we’re going. If we’re doing a lot of sightseeing and staying busy then I try not to work. If we’re on a beach somewhere, I can work a few hours each day. Yeah, working ahead of time is something I am always working on for this reason! Haha I’m so in a different stage to most. After working online and traveling, I’m so happy to have a stable base (in a tax free country) to really focus on things. I always spread myself too thin when traveling and working. Maybe it’s better suited to a more passive form of income. My parents are retired from their main professions. However, they are location independent – they “work camp.” They have their RV and they move around every few months to a new campground. They work a day or two a week at the campground for a free space and a little extra cash. They probably wouldn’t be able to do it without other retirement income, but it’s still a form of making money while traveling. Working remotely is addicting. When I lived in Nashville I moved out there to finish a book I was writing and before I knew it I was copy writing for a dozen local businesses. It is amazing how much work out there needs done and how easy it is to get to it! Great ideas! I would learn more toward #1 or #3 myself, but earning some passive income has always been a goal of mine as well. I would love to make money while traveling. I can imagine a scenario in the future where I might live abroad for six months to a year, and I would seriously consider teaching English as a second language. I think it could be fun and a good way to earn some extra money. You’ve just written a post about my goal. Both my kids will be off to college in three years so I’m planning on selling my house and going where ever I decide. I may travel a while and then settle somewhere. I will want to have a “home base” for my kids to come home to but I would like to be able to take off and travel for a month or so at a time. I’m just now in the beginning stages of working towards this. I got laid off this summer so I’m trying to do a variety of things and avoid getting a regular 8-5 job so I can work from home. On a different note, CommentLuv isn’t working for me on your site. It says “a feed could not be found” but my site seems to be working fine. Anyone else ever have this happen and know how to fix it? Hmmm.. Others seem to be commenting just fine. It may just be a fluke for today. Has it worked for you in the past? It has worked in the past but didn’t let me on your earlier post this week and still isn’t today. I’m sure it’s an issue on my end. I hate tech problems. Ahhh yes, I’m sorry. It should be working! I love the list of ideas! I had my first experience of trying to work while traveling this summer and it was kind of a disaster! It was probably due to poor planning and will to execute on my part. I should probably write a whole post about it so others can avoid my mistakes! The big disaster was that our of our cell phones died the day before we left, the other one didn’t have coverage for over half our trip (Sprint in the Midwest/West – not good until the coastal states! ), and several of the motels we stayed in that advertised having free wifi did not really have it, or at least the signal wasn’t strong enough to pick up in our rooms/we had to hack our way in (at one motel). So my connectivity during the trip was very poor, which was important for my business during that phase. I should have just refocused on productive activities I could do offline, but I didn’t have the willpower/preparation in place to do so. Thankfully not much HAD to get done during that period. Anyway, I am determined to do better next time. I take short trips by flying pretty frequently, and it’s been easy for me to work during those, but this road trip where we stayed at a different place each night totally killed my productivity! Travel blogging is another way to do it. I have a friend that writes a blog called Bucket List Productions and she travels to all of the exotic places all year long and it is all given to her for free. She simply writes an honest blog about her experience and she gets it for free. She also gets all of her excursions for free by writing about them. How would one get into something like this? I wish I could find a company that pays to do reviews about disability services/accommodations at hotels & resorts and also ADA compliance and what actually works for a person in a wheelchair versus what they think should work. I am the caregiver to my adult daughter and mom who are both disabled. Most stores,restaurants, hotels are clueless to what the real needs are for a person in a wheelchair. Dealing with the states and ADA,filing complaints,etc is so frustrating,time consuming, and generally slow moving and yield little positive results. I have always wanted to travel around with my daughter and actually teach hotels, stores, and restaurants how to interact, modify, and adapt their facilities before someone like my family dines,shops,or stays at their business. You should totally start a freelance business and contact companies and offer those services. I imagine that there is a need/want for it. The worst thing that could happen is they would say no! Great information. I have to admit that earning a living while travelling sounds great to me. I never even thought of some of the ideas you provided above. I would love to be able to earn a passive income through real estate rental properties but ever since 2008 I have been too leary of the housing market. Being able to generate multiple income streams such as through blogging and passive income strategies can make the dream of earning money while on vacation a reality. Hey Carey! Sorry, I am not a super techy person so I don’t really know the themes too well. Genesis is great though! Once my wife stops working we will be location independent. I am location independent in my remote job working for an employer. This has enabled me to do a lot of solo traveling over the years. I wished my wife could travel with me more in the past. Our passive income is from stock and rental real estate managed by our property manager and vendors. It has taken us years to get to this point and we can’t wait to do more traveling. LOVE this post, Michelle! I’ve done so many of these and they actually work. the point is to learn what’s out there, test out as many as you can, and do what works for you. Brilliant tips Michelle! I would say always give somethig a try and if it doesn’t work, try something else! I live in Germany so I work as an expat and because I’m an ex-corporate manager, I teach and train professionals. I also work as a lifestyle and travel blogger as well, which I get a lot of business from. I love this post. It gives people several options to choose from. I’m currently in the process of trying to become location independent. I will get there in a few years. I’ve only just come across your site and so I have a lot of reading to do! But I wondered if you have tried taking photos on your travels and selling them for stock? I started that about 6 years ago and now regularly earn over $2000 from stock photo licensing each month. Like you, I decided to publish my earnings on my blog as I thought that people following in my footsteps would like to see what you could make. This is something we have been working in our house. We have a few trips planned and have been testing out the different ways to make money travelling. Thanks for the ideas. Another idea is to help bring items from your country to the country you’re visiting.